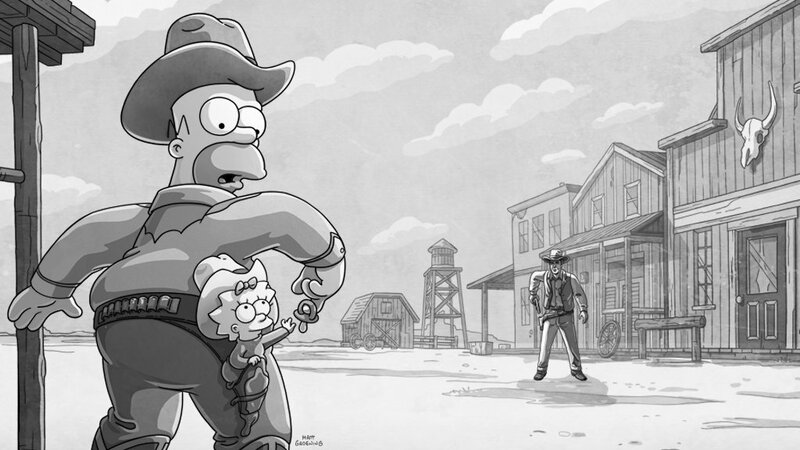 ← 635 "Lisa Gets the Blues"
In a Western setting, the opening is a parody of Gunsmoke's. The series' main charater Matt Dillon says to Maggie "Can't let you do it, can't let you break my record" then engages her in a Fast draw, Maggie shoots first, killing him, referencing how the show surpasses Gunsmoke's previous record with this episode. 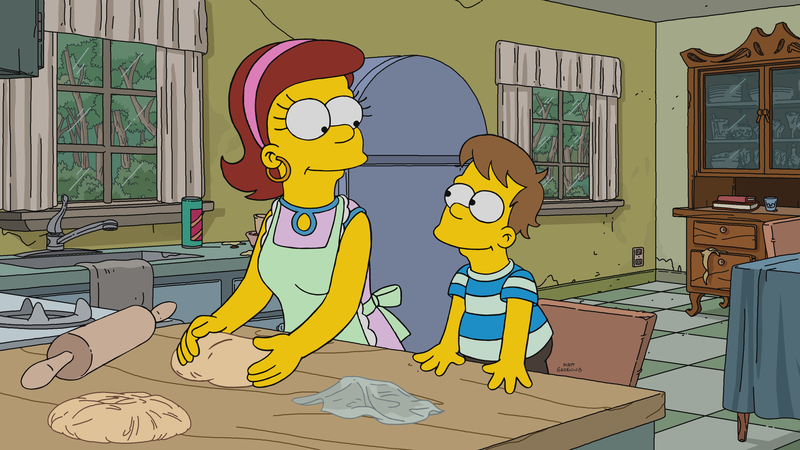 "Forgive and Regret" is the 18th episode of season 29. It aired on April 29, 2018. This episode marks the show as TV's longest running primetime scripted series, surpassing Gunsmoke, which had 635 episodes. "Grampa makes a confession to Homer while on his deathbed. After his recovery, he comes to realize that this issue will not be easy to reconcile." At Moe's Tavern, Homer tries to win a bet on eating 30 pickle eggs from Moe's jar, but loses once he spits them all out. Enraged, he rears the car on a lightpole. A man that watched the scene approaches him and offers $500 in exchange for his car. He agrees and tells Marge once home that he sold the car, showing them what become of it: brought to the Springfield Demolition Derby. 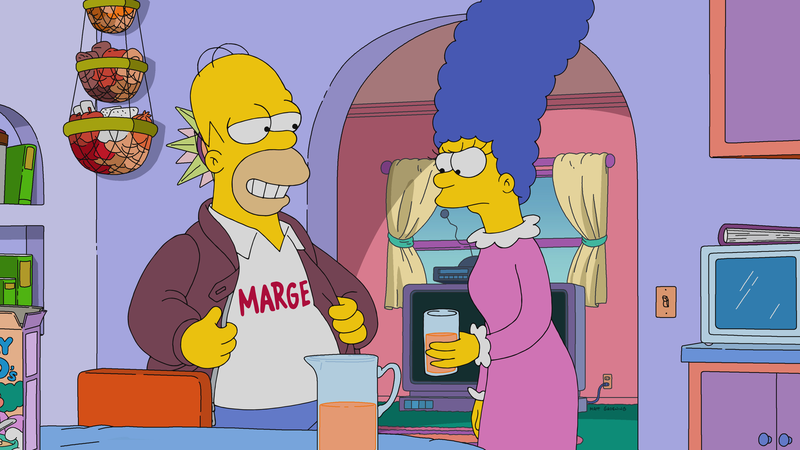 The person gave Homer tickets to the show, and Marge drives the family to it. When Grampa starts blabbing, Homer blocks him using a divider, and when Marge starts too, he does the same. At the derby, after showing the new and improved Truckasaurus, Truckasaurus II, it gets destroyed immediatly, and a video in memorial of those lost in the past week at the derby was shown. The derby starts, and Homer's car and Car-Rak Obama, the affordable healthcare mobile. But at the last moment, Grampa felt sick, with heart attack symptoms, and Homer took him to the hospital, while Car-Rak Obama's head flew next to them, signifying Homer's car victory. 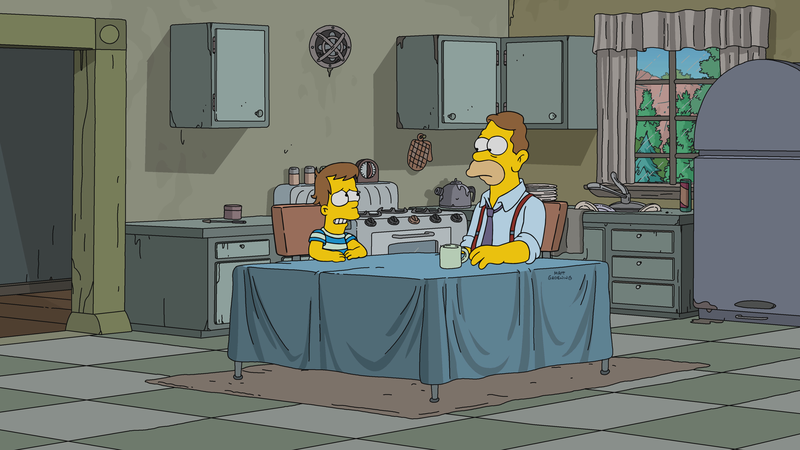 Dr. Hibbert informs Homer that Grampa's conditions are bad, and he wants to see him one last time. At his deathbed (right next to Old Jewish man, separated only by another one of the dividers), he asks for forbidness for something really bad he did in the past. 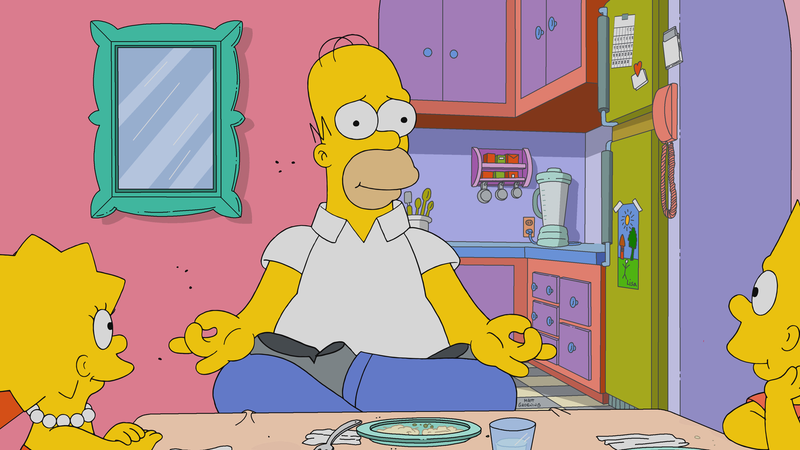 Homer, seeing it was his last wish, agrees to. 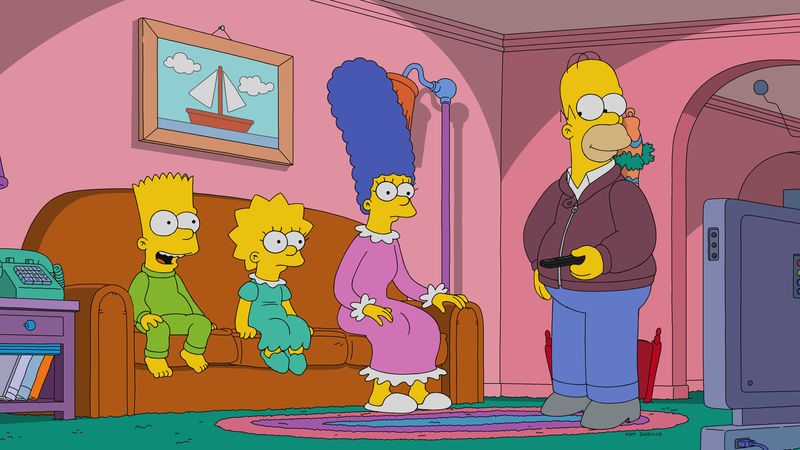 However, shortly after, Dr. Hibbert informs the family that Grampa recovered thanks to a new drug that stops the hormone that brings a merciful death when the body is in too much pain. 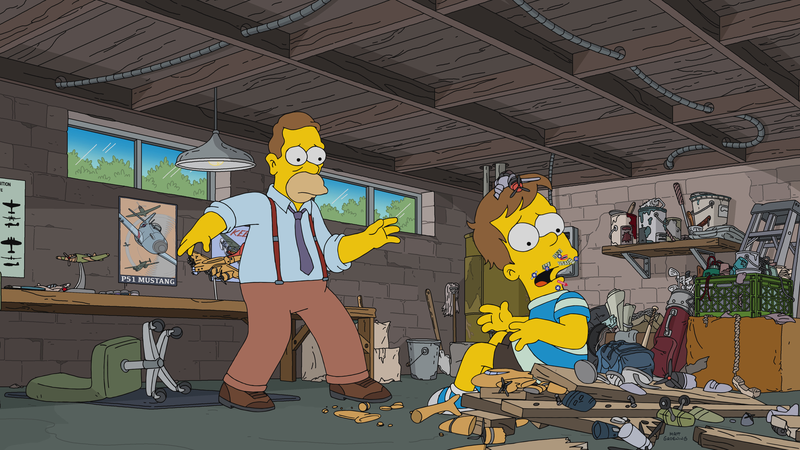 This fact reveals Homer hasn't forgiven him, and in his anger, he destroyes a box of cotton balls, costing him $75.000. Homer refuses to tell what Grampa did, but doesn't want to look at him the same way again, so he wants to go to Moe's but Grampa does too. In the end they end up at opposite sides of the bar table. Moe convinces them to try the jukebox and the Love Tester machine together but that doesn't help either. Lisa has the idea of taking them to The Escape Zone to calm them down, and they get "trapped" into a Medieval Dungeon setting to reconcile, however Grampa apparently knowing the trick, tricks Homer into sticking a sword into a hole, eletrecuting him in the process. 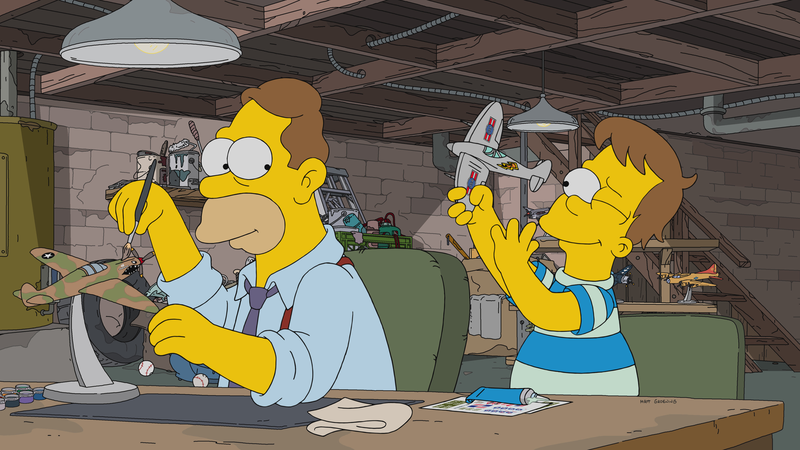 Grampa is brought back to the Retirement Castle and the fight was not over, so Homer decides to tell the others what Grampa revealed to him: while Homer was growing up, Grampa worked on making model World War II airplanes. When Homer destroyed some by mistake, Grampa was mad and let Grandma take care of him, giving Homer a box full of her recipes. 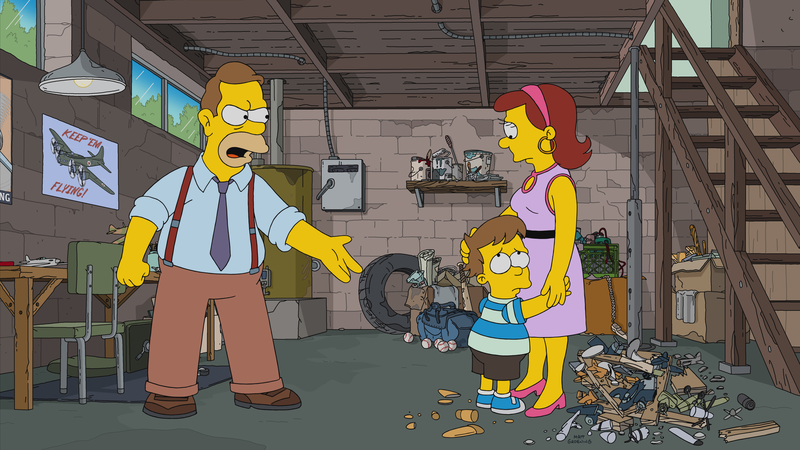 After Mona left them, he threw the box and everything from her down a cliff, while telling Homer she left with the box. At lunch, the family discusses going to the Retirement Castle and yell at him for what he has done, and Lisa suggested the silent threatment too, but once they get to his room, he was gone. He wrote them a letter saying he was going to retrieve the stuff he throw away at Springfield Forest, where their house was. They reach him while he was climbing down the mountain, and Homer goes down it to help him, but he tied himself to the same rope as Grampa's and they fall, but the fall is blocked by a tree. They find the box, and to retrieve it Grampa cuts his part of the rope off, after Homer says he loves him and not to do that, he was happy to hear it. Luckly Mona's bed was there to secure his landing, but the box was empty. At The Timberlog Diner, they ate all together as a family once again, and Homer finds out that the pie they were eating was the same as the one his mother made. The owner found the recipes that flew from the box thrown off the cliff and saved the diner thanks to them. 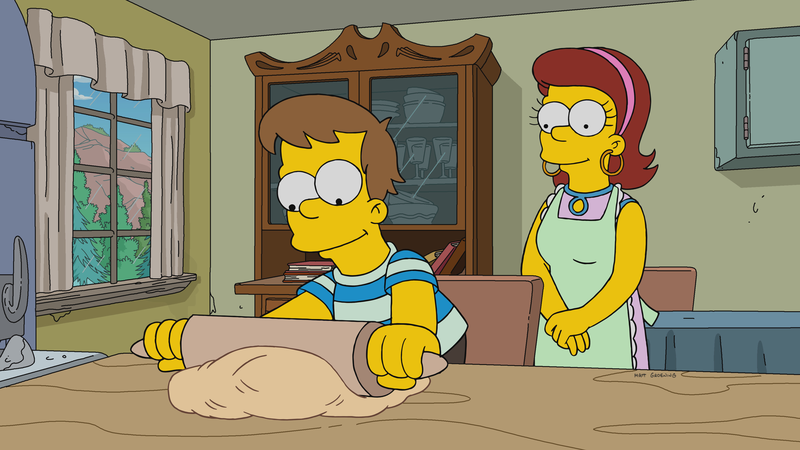 The owner gives back the recipes to Homer and him and Grampa hug. At the end, Homer buys his car from a used cars seller, and discovers he left Snowball II inside of it while the derby was going, and the cat scratches his face off. It was scheduled to be episode 634th, but King Leer aired as 634th instead. The long opening sequence parodying the one from Gunsmoke was cut, only showing the part till the title screen. 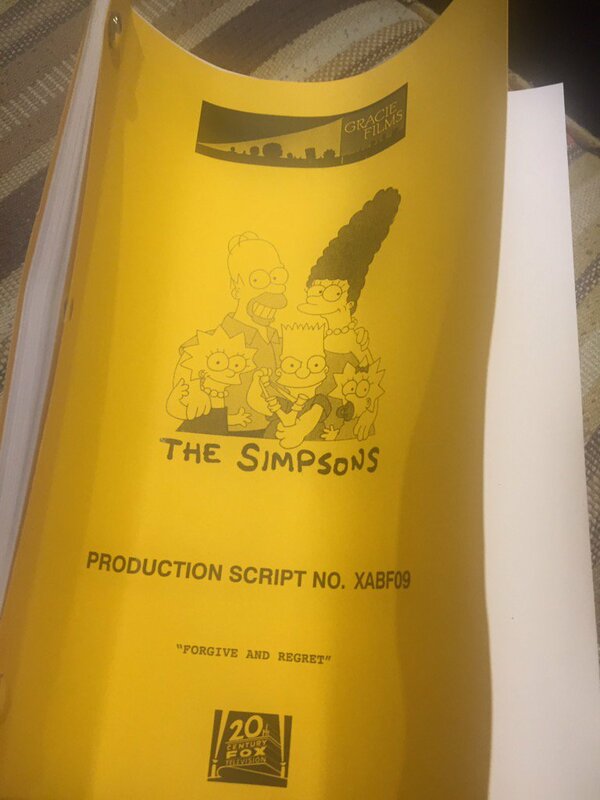 ↑ Al Jean on Twitter - "XABF09 Script"
Modified on August 16, 2018, at 14:06.